Inside São Paulo: Poster of the 29th Biennal Exposition of Sao Paulo is released! 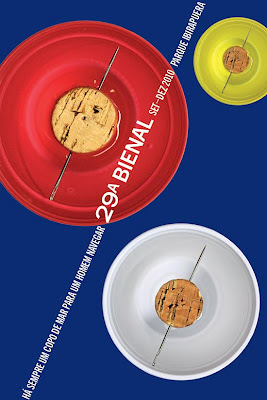 Poster of the 29th Biennal Exposition of Sao Paulo is released! The Biennial Foundation released the poster of the exhibition for its 29th edition. The poster was created by the new design area of the foundation and contains the verse of the poet Jorge de Lima: "There is always a glass of sea for a man to navigate", which will be the exhibition's title, taken from the "Invention of Orpheus" (1952). The event will start in September 21st and we will let you know more news about it. 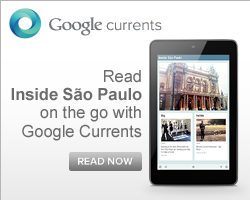 Aerosmith inside Sao Paulo! Buy your ticket! Museo do Bixiga reopens its doors! Arte na Vila, don't miss it! It is time to switch the light off! Earth Hour! 10km taxi ride for free during St. Patrick's Day!